I have had the opportunity to visit Loch clair on numerous occasions this year and it has been spectacular, oddly perhaps, it has been that way when you would least expect it to be so. Frost was not predicted and neither were the blissfully still conditions and sunrise was not particularly predicted to be glorious and this was reflected in the fact that not another sole was present, save for our wee group. 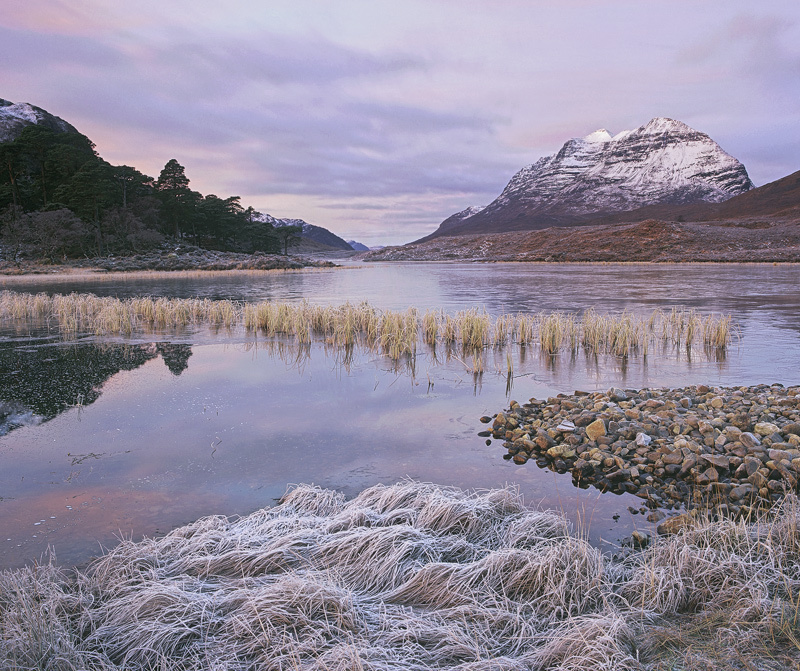 In event the sky turned fiery red and that glow reflected onto the clouds opposite sunrise and duly stained snow capped Liathach and the frosted grasses and reeds a lovely shaded of candy floss pink, culminating in one of my very finest shots.